Hello, dear friends! 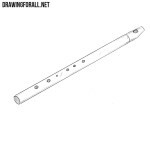 Today we have prepared a new drawing tutorial pertaining to Russian culture. 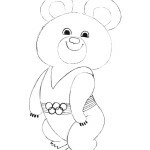 In previous lessons we showed you how to draw matryoshka, Cheburashka and Olympic Mishka. 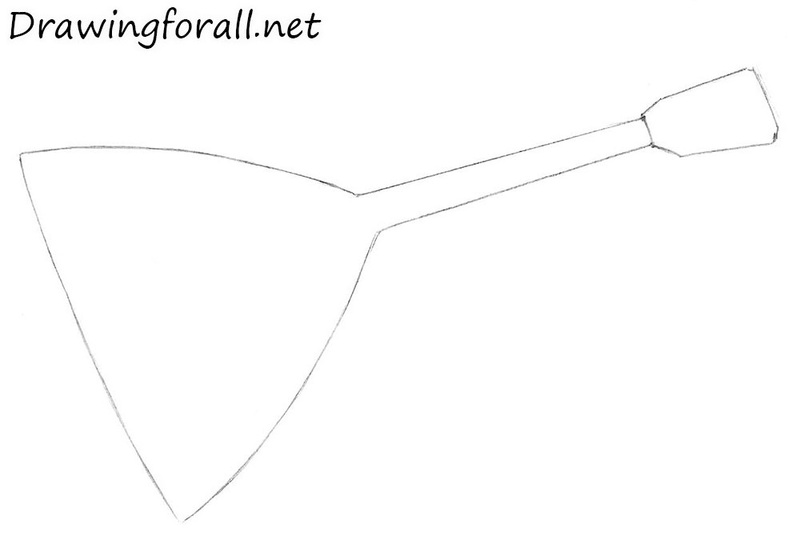 And in this tutorial we will show you how to draw a balalaika – known Russian musical instrument. 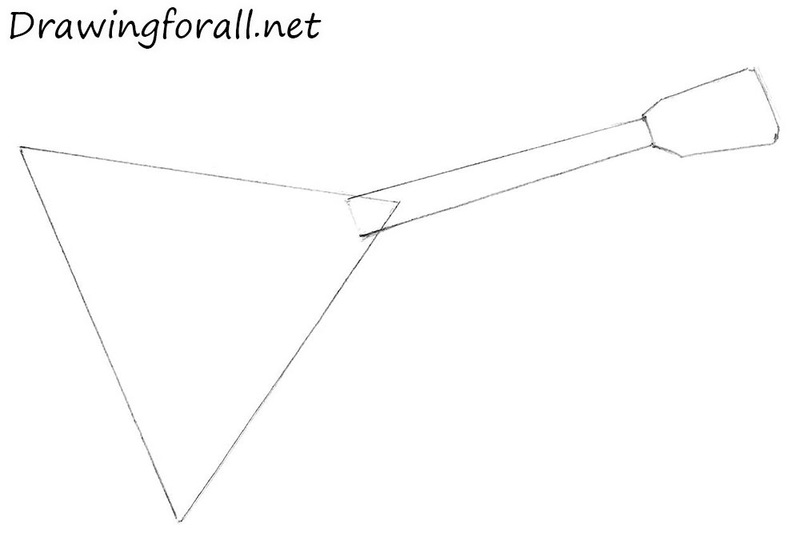 At first draw a triangle, it will be the main shapes of body of the balalaika. 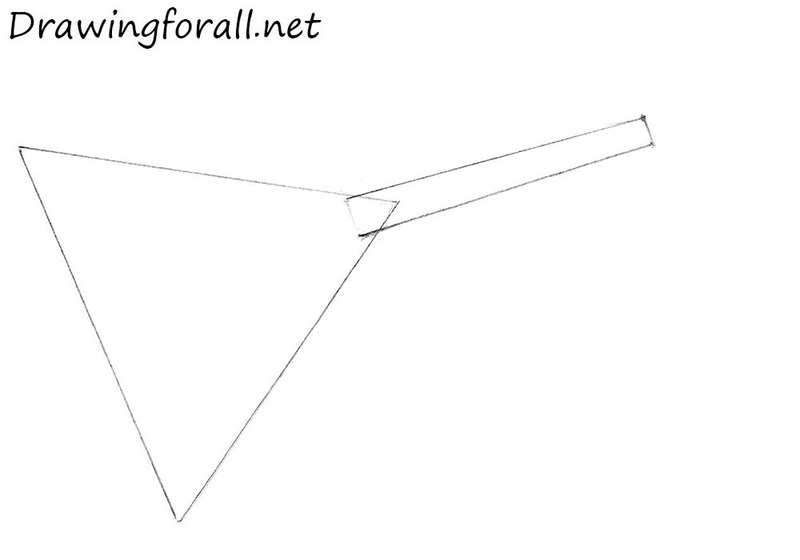 Using elongated rectangle draw the neck of the balalaika. 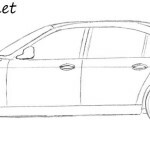 Neck length should be equal to body length. 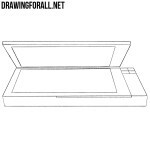 Draw the head in a form of a trapezoid and move to the next step. 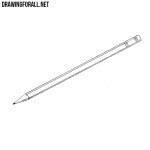 Erase all the guidelines and make the lines of the body slightly curved. 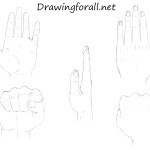 Using three long and straight lines draw the strings. Using short lines draw the frets. 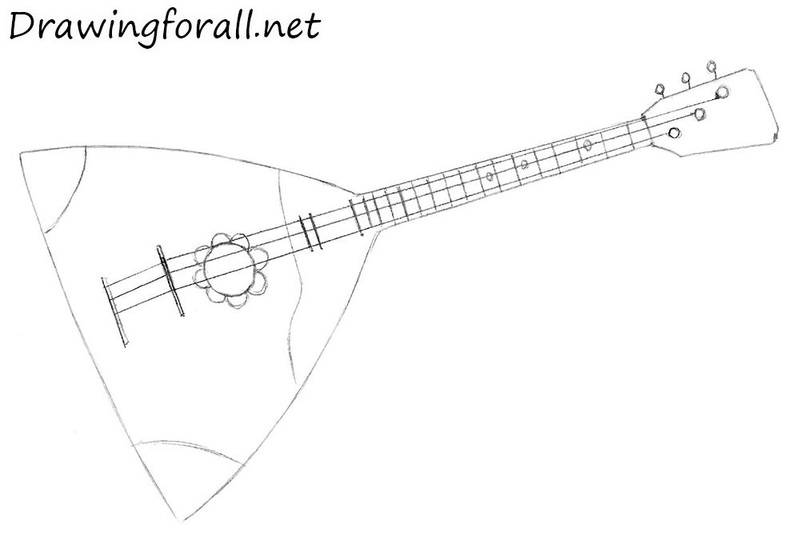 Draw the sound hole and patterns as in our example, and the balalaika is ready. 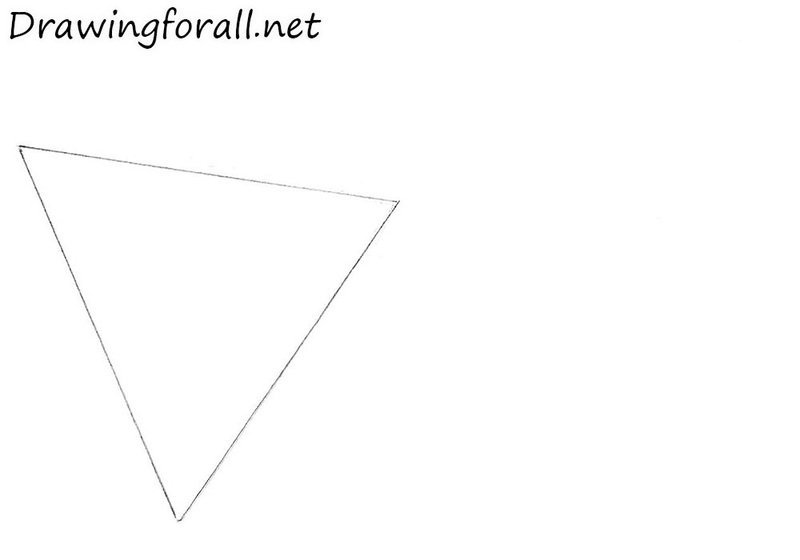 We hope this drawing lesson helped you to draw a balalaika. Goodbye friends!